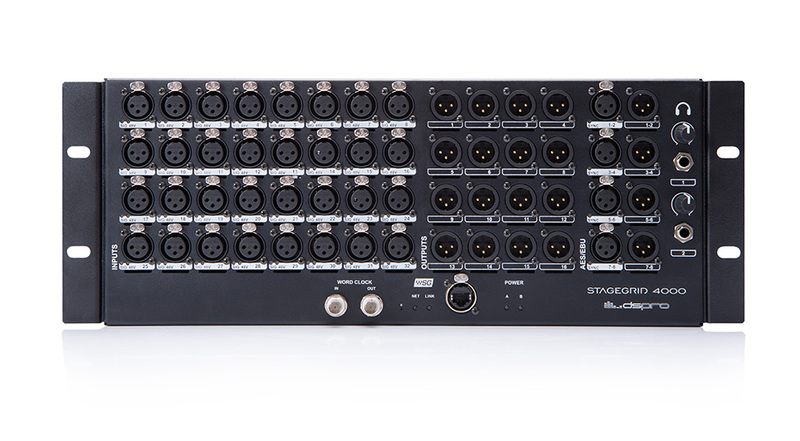 SoundGrid stagebox, perfect for use with the eMotion LV1 live mixer. Crafted for supreme sound quality and reliability, with 32 mic/line ins, 16 analog outs and AES/EBU ins/outs, all digitally controlled. Featuring pristine preamps designed to deliver a dynamic sound with superb clarity, StageGrid 4000 is fully integrated into the Waves ecosystem and easily interfaces with the eMotion LV1 mixer and any other SoundGrid network component. 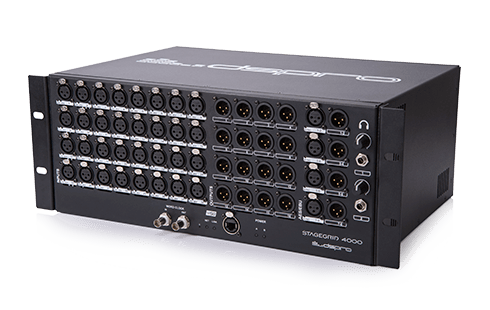 It provides a seamless solution for live sound applications, coupled with the modularity and power of SoundGrid technology. 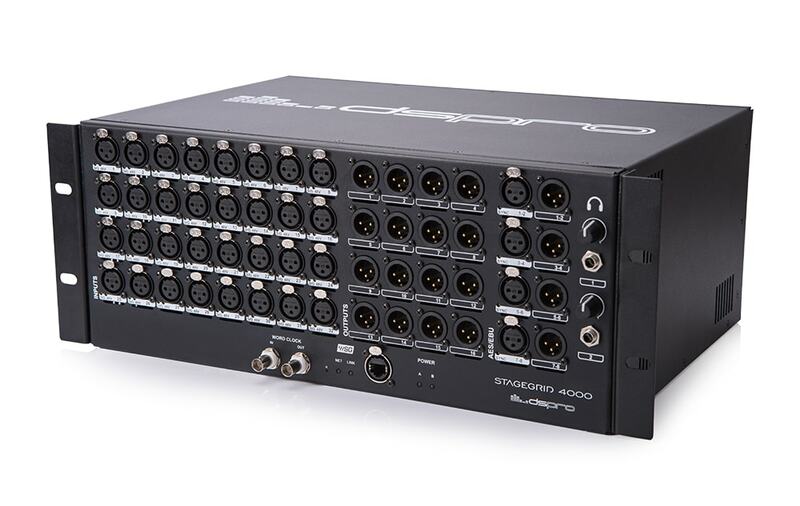 Built ruggedly in a robust 4U rack-mountable chassis, StageGrid 4000 is designed with the challenges of the road in mind, and with no compromise in audio quality. 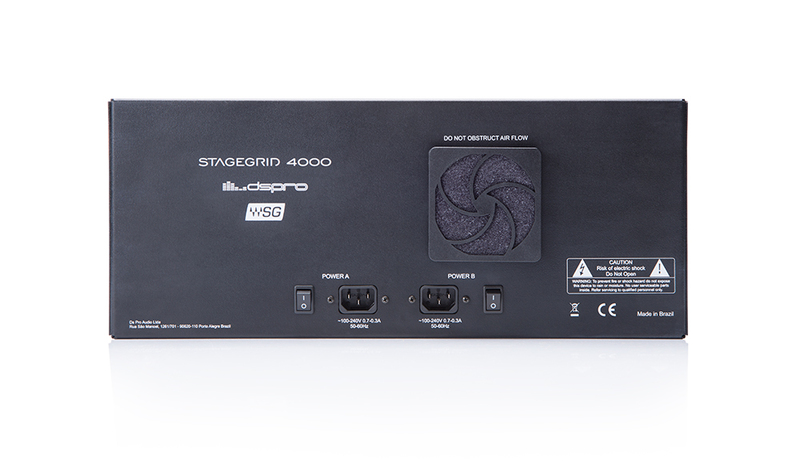 All of StageGrid 4000's components were carefully selected and tested to ensure continuous system stability and maximum dependability, including a redundant power supply. This way you can focus on what really matters – creating a consistent, impactful sonic experience, show after show. In the setup diagram below, on-stage instruments and microphones are connected to the StageGrid 4000 which is remotely controlled from the LV1 mixer at front-of-house. The audio is processed on a SoundGrid Server and then outputted to stage-monitors and/or the PA system. An optional DAW computer (with the SoundGrid Driver installed) can be added to the setup for recording the show, playing back audio and for virtual soundcheck.